Bike snobs still scoffed and enthusiasts on a budget took the (low cost) plunge and for the most part, if you didn’t ask too much of it (Manuel Beastley type riding aside), the Dolomite could provide plenty of fun in the snow, sand or dirt. 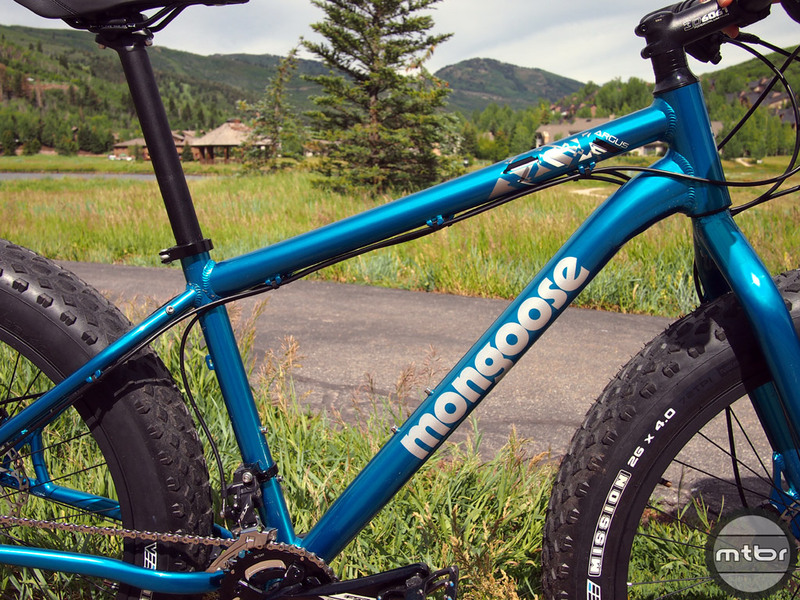 Building on the popularity of inexpensive fat bikes, Mongoose announced a new model for 2015 called the Argus. The Argus utilizes an alloy frame that is much lighter and more durable than it’s steel older brothers. The Argus can be called a legit mountain bike, sporting a 2×10 drivetrain, disc brakes, 100mm rims, 4″ Vee Mission tires. The Argus also provides a more upgrade-worthy base to build on, especially with the 0 stack headset that allows you to put in an aftermarket headset adapter so you can upgrade it to a tapered fork. 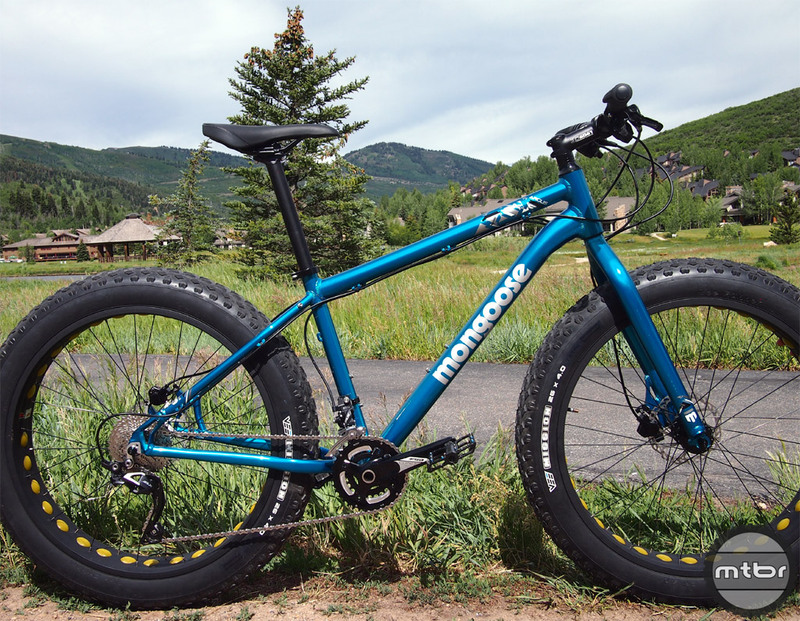 In this video, Matt Prest from Mongoose shows us the highlights of the 2015 Argus fat bike. Another improvement over the Beast and Dolomite, is that the Argus will be offered in 3 sizes (SM, MD, LG). Only one color will be initially offered, the Teal Blue shown here. And what about the weight? 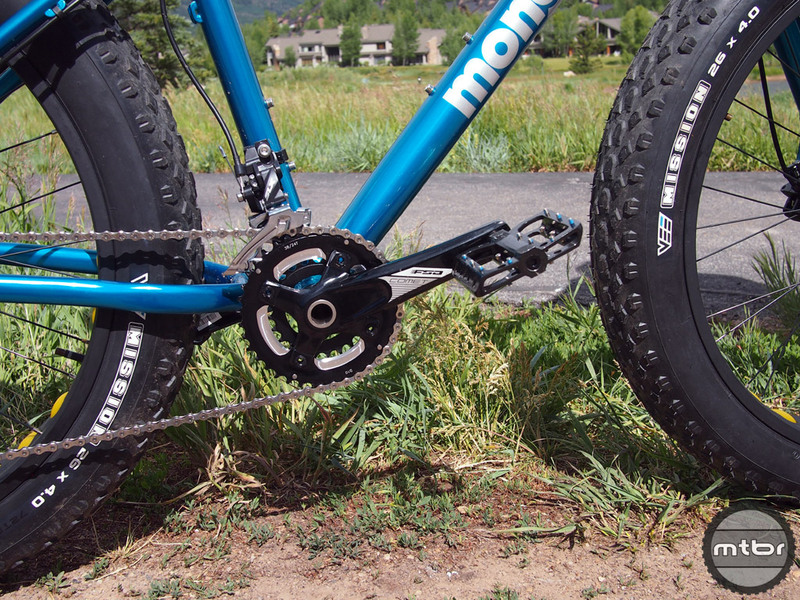 The Argus weighs in at just under 35 lbs…not bad for a fat bike. Of course, their is a significant cost increase that comes along with so many upgrades. But there is no arguing that at $999.99, the Argus is still a great bargain and should be available Fall of this year. Bike snobs, you can stop scoffing now. Be sure to click through the gallery below to see all the photos. 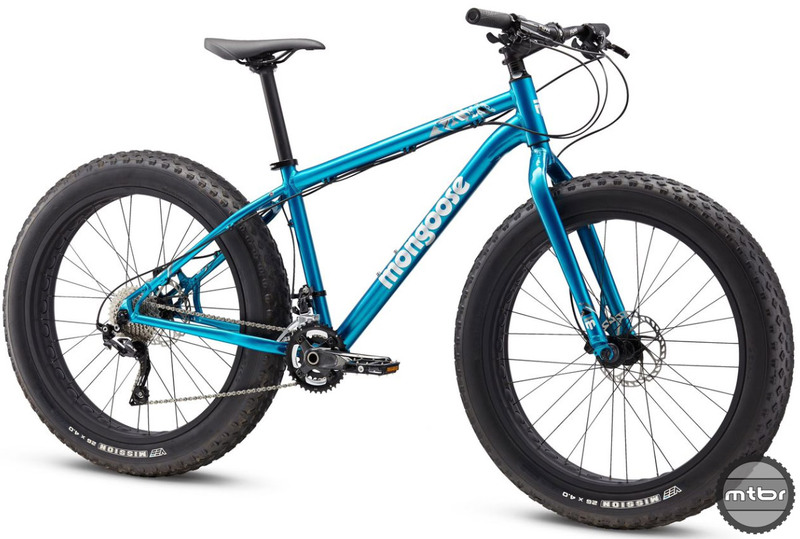 Not bad, I have always thought most Fat bikes are over priced for Rigid HardTails. Will this still be a “Wallyworld” bike or will it be available through a LBS? Aluminum fork?!?! No thanks. 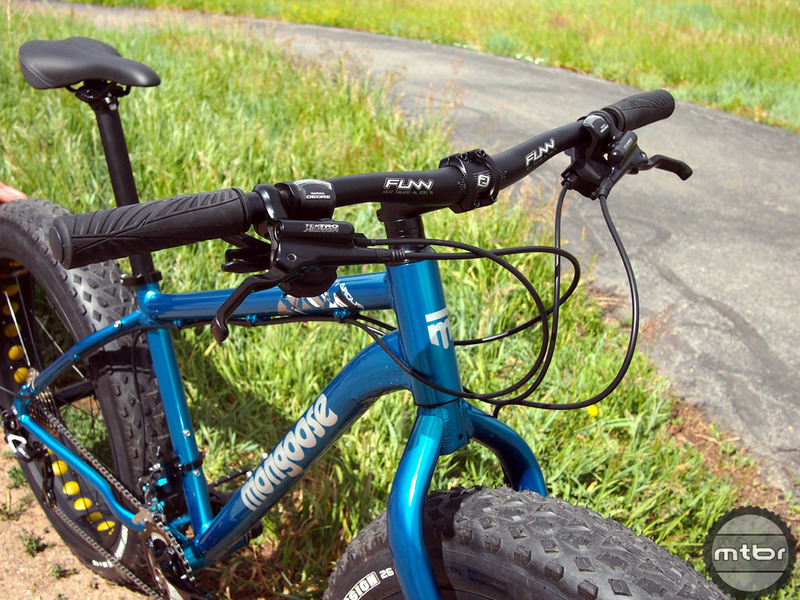 That mixed with an aluminum hardtail frame makes for one harsh ride even with fat tires. Steel is the way to go on a rigid fork for sure, and steel makes for much nicer a ride for a hardtail as well. Wonder if they will come out with a sub-1K light steel alloy frame and fork. I would be interested in that. Get real Mack! 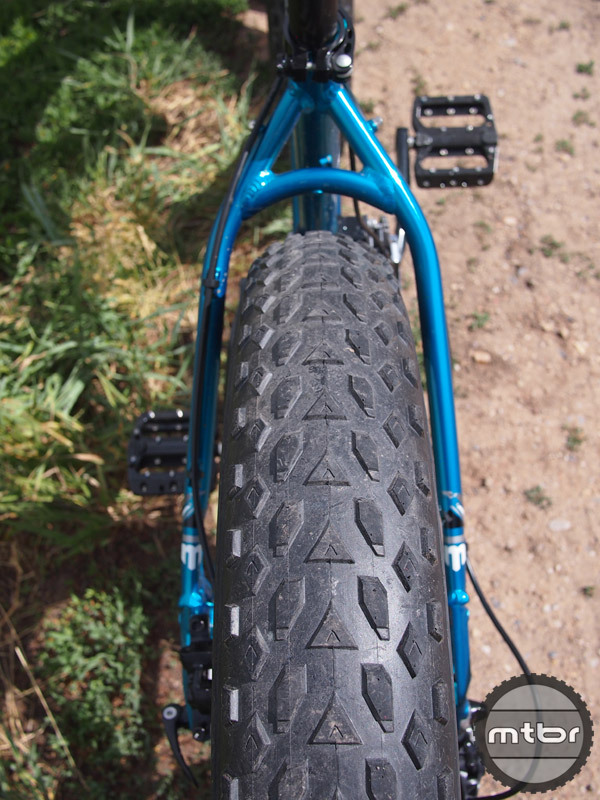 No way you can sense the subtly of alum v. Steel w/ 4″ tires in the mix. I don’t know this guy Graham, but you should fact check first before quoting (at least you gave a source). A material’s ductility is not a measure of “flexibility” (an elastic deformation), rather it (ductility) is a measure of plastic deformation, into a wire-like form I believe. The term I think you are looking for is Young’s modulus. Big difference between elastic and plastic deformation. Mack sorry but you’re completely misinformed. 1. Anyone pushing steel is trying to charge you more for less expensive materials. If steel was so wonderful, why are people consistently choosing aluminum and carbon bikes? Steel is by far the easiest and least expensive out of the 3 to work with. The whole ‘Steel is real?’ Its just marketing BS. 2. the MATERIAL used is only half the equation. 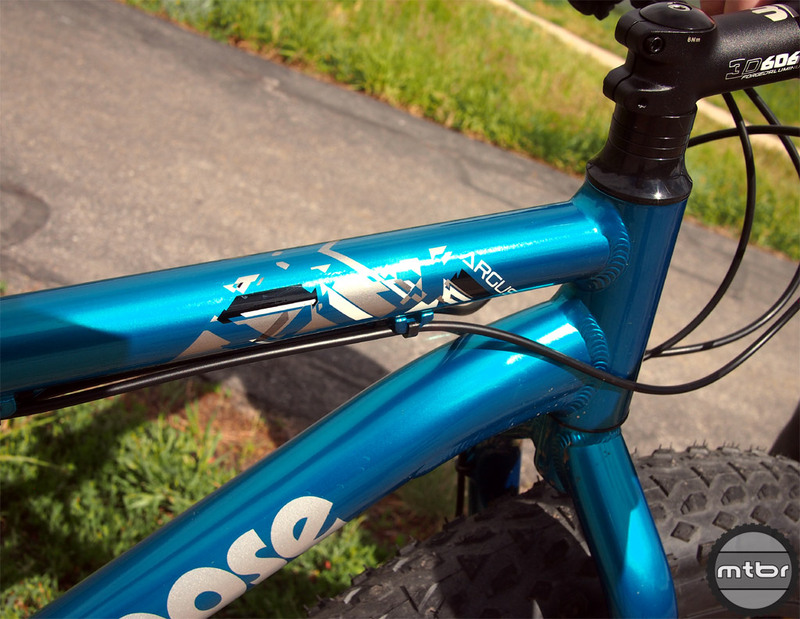 You are being completely ignorant if you neglect tubing diameter, which has WAY more effect on the stiffness of a frame. DO you have any idea WHY Aluminum tubes started with bigger diameters, i.e. Cannondale? Because aluminum has way more flex than steel. Dude there is no way you’re gonna tell the difference in ride quality between steel and Al when you’re running 8psi in your 4″ tires. 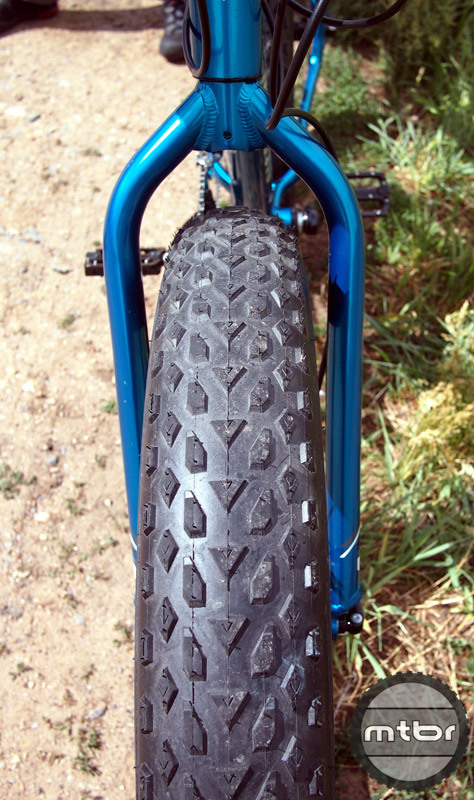 Compare the deflection of the tire to the possible deflection of the frame/fork, it’s not even close. Its obvious singletrackmack has never ridden a bike before. I recently saw one at the local Walmart. 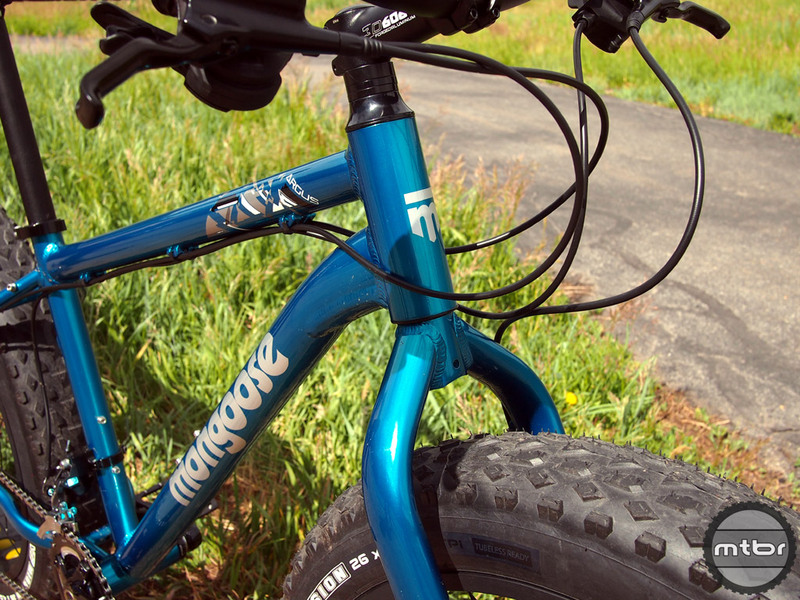 I somehow knew that the Mongoose Beast and the Mongoose Dolomite would be the beginnings of something big for Mongoose bikes. I own both the Beast and the Dolomite. First off, the Dolomite was geared way too high and everyone complained about it. Mongoose caught wind of all this and it looks like they got busy and changed up a few things, the crank assembly, for one. Right now I’m waiting for a machinist that I hired to make me a nine inch BMX crank spindle, because I wanted to convert my Dolomite’s crank system to a BMX crank system. With the way that they made the Dolomite’s crank system, it made it very difficult to change the front sprocket to a smaller size sprocket. 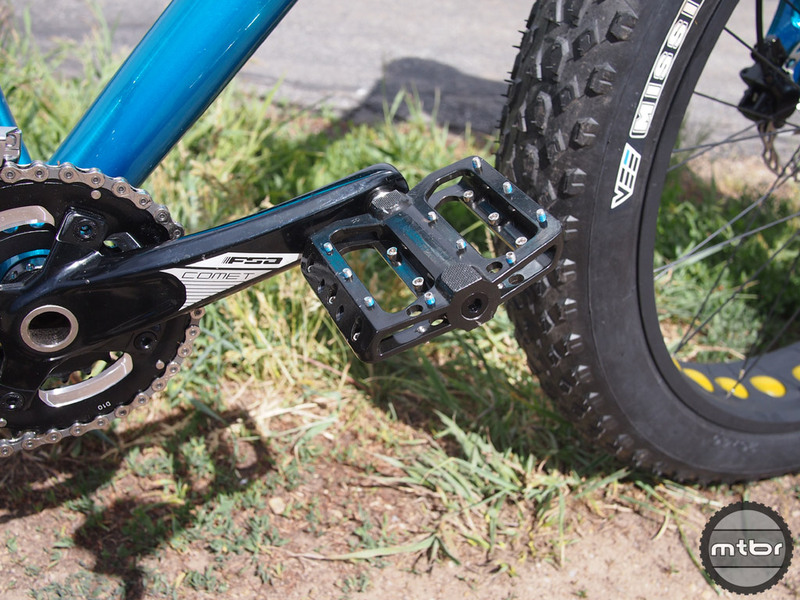 The crank arm and the sprocket is a one piece setup. Like most things, it’s really hard to get things right the first time. 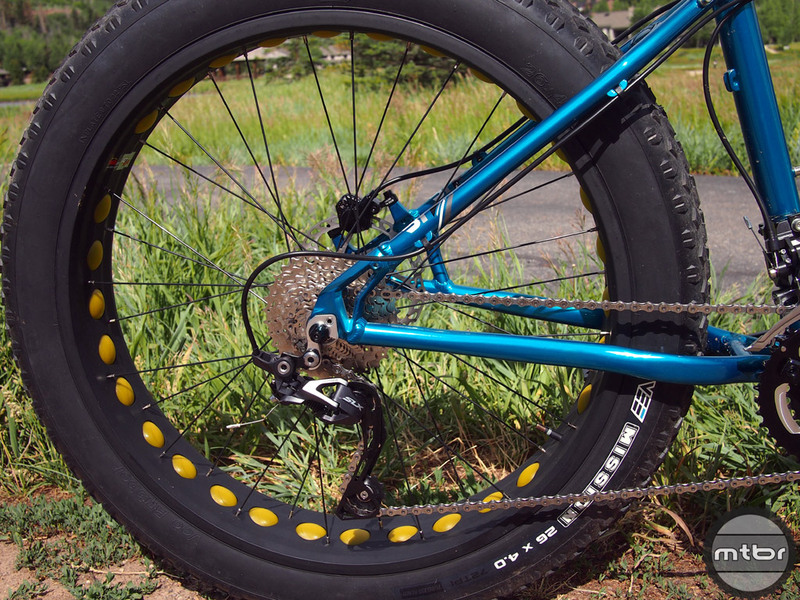 The fat tire bikes are not necessarily about going fast as they are about climbing over things and traveling over tough terrain. I’m using a Shimano Mega-Range cluster in the back and I’m starting out with a 23 tooth sprocket in the front. 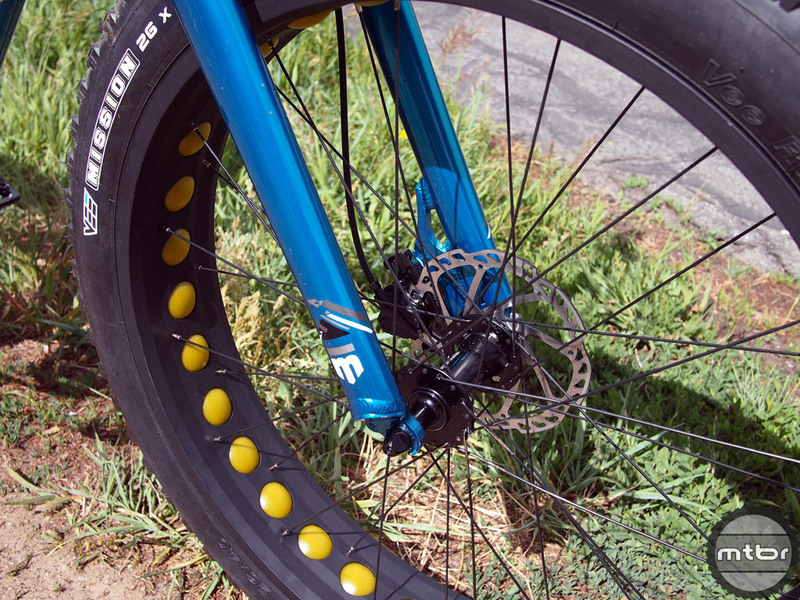 One of the main reasons I wanted a smaller sprocket in front is because it creates more ground clearance from the bottom of the sprocket to the ground, making it easier to crawl over big rocks, logs, etc. I wanted to just have a nine inch long BMX crank spindle made for my Dolomite, but I thought I would just try cutting the longest BMX spindle I could find in half and welding a piece in-between to make it long enough. That may not work, but if it doesn’t, I will either try to get a machinist to make the crank spindle I need or I will just give up on it, sell the Dolomite, and get me the new Mongoose Argus-allo. same question will it fit 4.8 tires on rear?